The Summer Music Experience at Stax Music Academy took 25 students on a trip through the Mississippi Delta, performing at some of the region’s top blues venues and culminating with two concerts in New Orleans. First stop was Ground Zero Blues Club in Clarksdale, Mississippi. While in Clarksdale, the students also toured the Delta Blues Museum. From there, the Summer Soul Tour moved on to Indianola, Mississippi, where the students performed the same evening at Club Ebony. 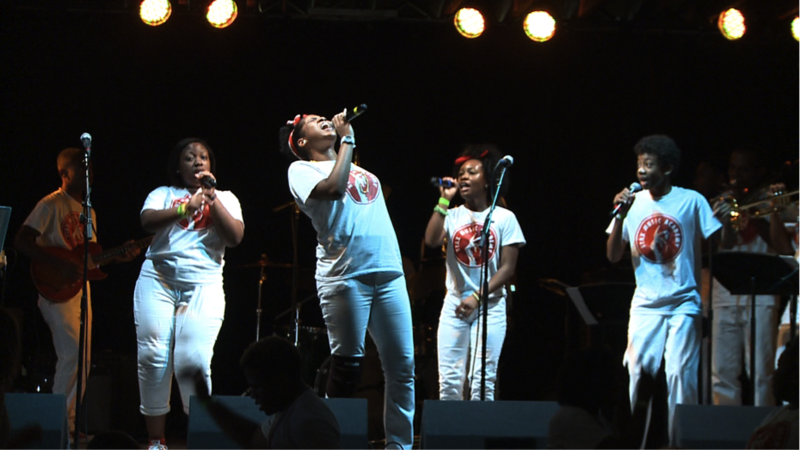 Fulfilling a last-minute request for Saturday night, the students were the featured entertainment in New Orleans for the Texas Southern University’s National Alumni Conference. 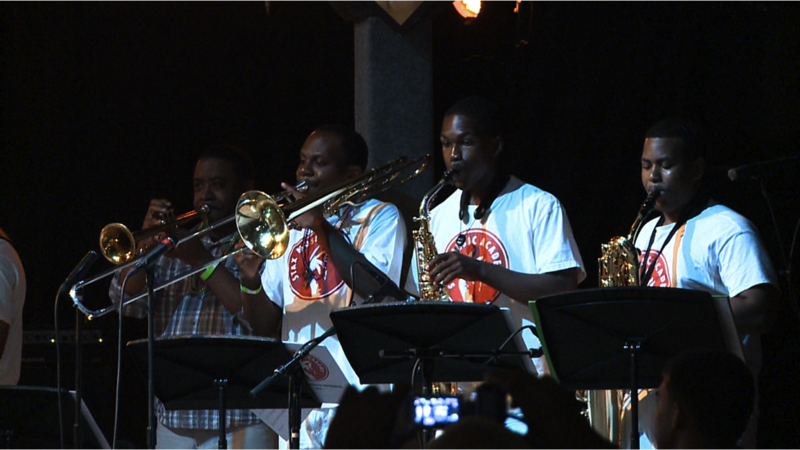 Between sets, the students were treated to dinner at the famed Sweet Lorraine’s Jazz Club in New Orleans 9th Ward, where they witnessed both the remaining destruction and new revitalization in the aftermath of Hurricane Katrina. Before heading home, the students performed at New Orleans’ legendary Tipitina’s music club during a youth music festival hosted by the Tipitina’s Foundation. Like Stax Music Academy, Tipitina’s Foundation is a Berklee City Music Network member. Click here to read the full article. Students were also mentioned in a featured article in Baton Rouge’s The Advocate, click here to read more. Donald Harrison will be the jazz artist in residence at Tulane University for the 2013-2014 school year. During that time he will teach six masterclasses each semester as well as theory and improvisation classes. Donald is a Berklee College of Music alumni and has performed with many of greats including Art Blakey, Roy Haynes, Miles Davis, Ron Carter, Billy Cobham, and Dr. John among others. He is also the co-founder and the artistic director of the Tipitina’s Intern Program at Tipitina’s Foundation, a Berklee City Music Network member, where he teaches music, theory and history to students. Please join us in congratulating him on being Tulane’s jazz artist in residence! Visit our previous post on The King of Nouveau Swing for more information on Donald Harrison. Check out our new video of Tipitina’s Foundation featuring students from the Internship Program and Donald Harrison discussing the importance of recording in helping students advance as musicians. The Tipitina’s Internship Program is an after school jazz performance program for high school students ages 13 through 19, and is led by artistic director Donald Harrison. The program is free of charge and focuses on instrumental performance, music recording, music theory, and music career professionalism.